“Yorke, he’s skipped through, it’s Dwight Yorke! He’s brought down by Peruzzi … Cole will finish it off, full speed ahead Barcelona!” As Clive Tyldesley delivered these words, on the evening of 21 April 1999, more than 57,000 Juventus fans inside the Stadio Delle Alpi were left to their own solemn contemplation. Down on the pitch, separated by a running track, the eleven men in black and white are left distraught. The scenario, a 3-2 loss to knock Juve out of the Champions League in the semi-finals, is perhaps hardest to swallow for Filippo Inzaghi. Returning from the first leg in Manchester with a 1-1 draw, and away goal to boot, Inzaghi’s brace within the opening 11 minutes of the game seemed to have put the Old Lady on their way. There was nothing more Inzaghi could have done. Just as they would do in the final, United had came from behind to seal their own place in Barcelona at the expense of the Italians. On the same evening, some 600 kilometres north-east of Turin, in Munich’s Olympiastadion, another striker was left in a similarly deflated state. The star of Valeriy Lobanovskyi’s last hurrah as a manager, 23-year-old Andriy Shevchenko had served as the catalyst for Dynamo Kyiv’s incredible run to the very same semi-finals. Two goals in the first leg against Bayern put the Ukrainians equally close to reaching the Nou Camp, but an early strike from Mario Basler in the second leg has ended those dreams. It was an unforgettably miserable evening for the pair but, as the saying goes, sometimes it takes two wrongs to make a right. It would be another four years until either player would reach this stage of the competition again. Fortunately, by then, their forces would be combined in creating one of Europe’s most deadly striking duos. 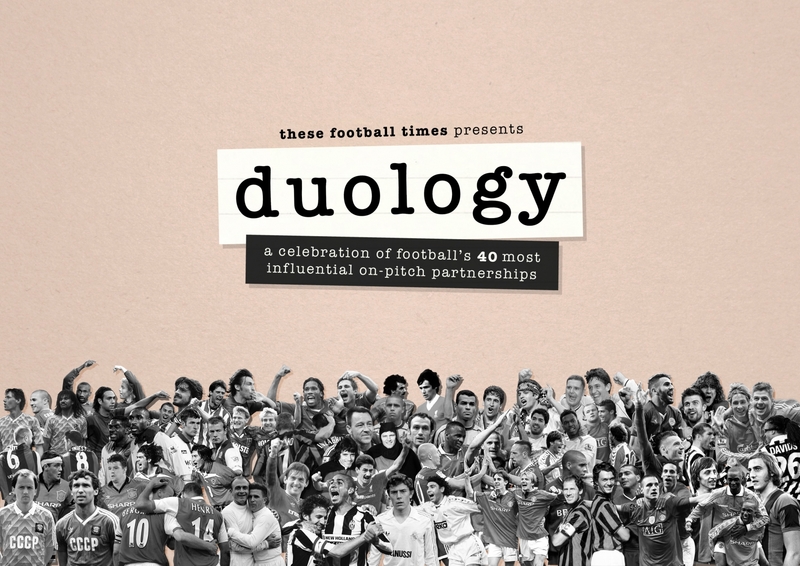 In terms of upbringing, the early lives of Inzaghi and Shevchenko couldn’t have been further apart. The Italian was born in 1973 and raised in the city of Piacenza, some 70 kilometres south-east of Milan. Beginning in the academy of San Nicolò, in 1985 he moved to the city’s main club, Piacenza Calcio, before debuting for them in 1991. Two productive loan spells in the lower leagues with Leffe and Verona signalled a return to the Stadio Leonardo Garilli, where Inzaghi scored 15 goals to fire I Lupi to the 1994/95 Serie B title. During this season Shevchenko was taking his first steps in the senior team of Dynamo Kyiv, a club whom he had been with since the age of 10. Growing up first in the village of Dvirkivshchyna, and later Kyiv, in 1986 Shevchenko was evacuated with his sister to the eastern coast, in the aftermath of the Chernobyl Nuclear Disaster. Later that year he failed a dribbling test to get into a specialist sports university in Kyiv, but would later be handed a silver lining. He signed for Dynamo after impressing in a youth tournament. The following campaign saw Shevchenko fully cement his place in the Dynamo starting line-up, with the forward’s prodigious talent a key reason in the decision of the mythical Lobanovskyi to return to his homeland in 1997, after a six-year hiatus managing in the Middle East. Shevchenko flourished under the man nicknamed the ‘Colonel’, scoring 66 goals in his full two seasons, and in the process making himself one of Europe’s most sought-after players. 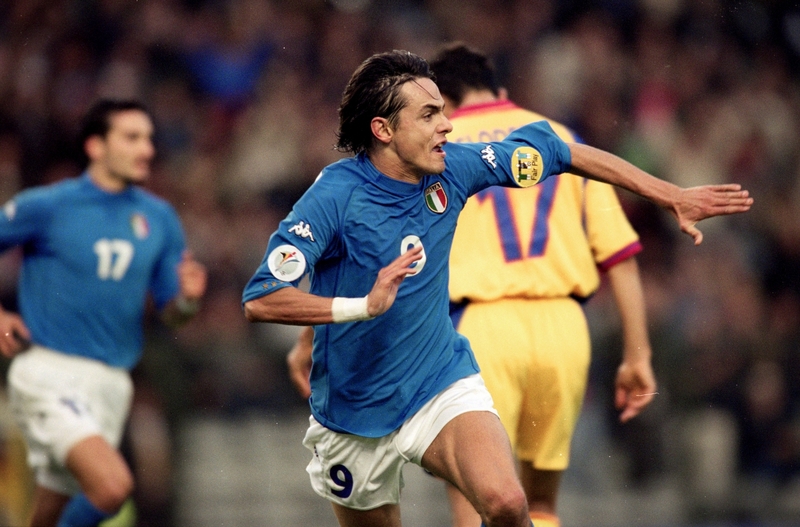 These formative years were less of a smooth curve for Inzaghi, whose early career featured one major blip. Following his exploits in Serie B he was signed by Parma, although it was to prove an ill-fated move as he netted just twice all season. This was, however, followed up by a tremendous 1996/97 season for Atalanta. Named Young Player of the Year, and receiving the Capocannoniere award for his unmatched 24 league strikes, Pippo was soon on his way to Juventus. To acquire his services the Turin club parted with 20 billion lire. Three highly productive seasons for the Bianconeri yielded 89 goals, along with the 1998 Scudetto, though after the signing of David Trezeguet, in 2000, Inzaghi found himself increasingly forced out of the team. Eager to reclaim a starting berth, albeit elsewhere, the following summer Inzaghi signed for Milan, in a deal worth 70 billion lire in addition to young midfielder Cristian Zenoni. Whereas Zenoni struggled to make any impression whatsoever, with just 38 appearances for Juve before being sold to Sampdoria, Inzaghi’s move northeast would aid him in finding his dream strike partner. By now, Shevchenko had long since established himself as the king of the San Siro, having seamlessly transitioned to life in the West. Scoring 63 goals across his first two seasons, the Ukrainian became the first foreigner since Michel Platini in 1983 to win the Capocannoniere in his debut campaign. 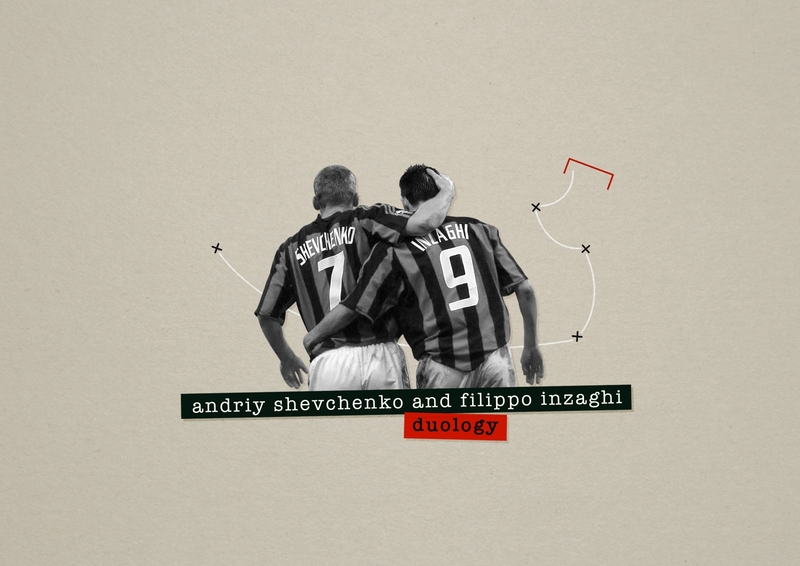 Up until this point, Shevchenko had been paired with Oliver Bierhoff, to decent effect, however it was upon the German’s departure and subsequent arrival of Inzaghi that the side was truly complete. An instinctive striker who possessed a neat turn of pace, Inzaghi was well renowned for his fantastic positional sense and ability to beat the defensive line. Famously described by Sir Alex Ferguson as having been “born offside”, it is a testament to Inzaghi’s ability that he was able to wind up one of football’s great minds with the timing of his runs. Shevchenko meanwhile possessed far more technical ability and dead ball expertise, alongside similarly sharp finishing and impressive physicality. One must also acknowledge the incredible supply line both forwards were blessed with, with the likes of Andrea Pirlo, Clarence Seedorf, Kaká and Rui Costa situated behind them during their peak years at San Siro. In his first season with Milan, Inzaghi scored 16 goals, whilst Shevchenko notched 17. Despite not being the highest totals of their respective careers, these figures were enough to put the pair as the club’s top two scorers, with third highest, Serginho, some distance back on five. Still, a fourth-placed league finish and semi-final exit in the UEFA Cup was underwhelming. It was to be the following season the pair would lead Milan to greatness. Both achieved personal redemption, fittingly for Inzaghi at Old Trafford, as they led Milan to the 2003 Champions League title. In a match that did little for the stereotype of Italian football being defensively orientated, opponents Juventus depended heavily upon a fine display from Gianluigi Buffon in goal to get them through to penalties. In the 120 minutes prior to the shootout, Shevchenko had a goal controversially ruled out, though this evidently hindered him in no way as he stepped up in the shootout to successfully dispatch the decisive kick. The Ukrainian also scored in the first leg of the Coppa Italia final against Roma, whilst Inzaghi bagged a goal of his own in the second leg, as Milan ran out 6-3 aggregate winners. It was to prove to be the first silverware the pair would win at San Siro, as Ancelotti’s side embarked on a period of success that had been absent from the red and black half of Milan for some time. The following season Shevchenko won his second Capocannoniere, recording 24 strikes to help Milan secure their first Scudetto in five years. The campaign after would see Shevchenko claim the Ballon d’Or, just reward for guiding Milan to another Champions League final in Istanbul. It was to be an uncharacteristic evening for the Ukrainian, however, as he failed to score in the 3-3 draw only to then see his decisive spot-kick saved by Jerzy Dudek. Inzaghi meanwhile failed to appear for much of these two campaigns, battling against a persistent ankle injury that restricted him to just 25 Serie A appearances. He would though return to his goalscoring ways in 2005/06, with another remarkable Champions League jaunt again highlighting the importance of the duo to their club. Shevchenko netted in both legs of the round of 16 clash against Bayern Munich, while Inzaghi recorded a brace in the second game to send Milan through 5-2 on aggregate. Then, on the back a goalless first leg in their quarter-final clash with Lyon, Ancelotti’s men appeared on the ropes for much of the second leg. Despite Inzaghi heading in early on from Seedorf’s cross, six minutes later Mahamadou Diarra’s away goal had levelled proceedings and handed the French side the advantage. With Gérard Houllier’s team adopting a cavalier approach, Milan looked to be heading out. This was until the 88th minute, when a shot from Shevchenko beat Grégory Coupet to bounce off both posts. With the ball practically stopping on the line, there was only going to be one man emerging from the ruck of players to reach the ball. Inzaghi struck to send San Siro into raptures, with Shevchenko adding the gloss in injury time to send Milan through comfortably. In retrospect, this was to prove a hollow victory. In the semi-finals Milan were narrowly brushed aside by Barcelona and, despite ending as top scorer with nine goals, that night against Lyon was to prove the last great act of Shevchenko and his partner. That summer the duo met in Germany at the World Cup, with Inzaghi an unused substitute as Italy triumphed 3-0 in the quarter-final to send Ukraine and his friend Shevchenko home. By now this ‘home’ of Shevchenko’s was not Milan but rather London, with it confirmed prior to the tournament Shevchenko had completed a then-British record £31m transfer to Chelsea. His time in England was nothing short of a disaster, with just 22 goals in 77 games and his time blotted by rumours that he had been bought against the wishes of manager José Mourinho, acquired simply as an ego trip for club owner and friend Roman Abramovich. Meanwhile, Inzaghi remained at Milan until his retirement in 2012, scoring both goals in the 2007 Champions League final to avenge Liverpool before winning another Scudetto in 2011. There was to be a brief reunion with Shevchenko in the 2008/09 season as the Ukrainian returned to Milan on a season-long loan, but by now his best days were behind him. Sheva scored just twice in 26 games. While this latter move may have backfired on the pitch, his return to San Siro after two years away held extra significance. His transfer to Chelsea resulted in a degree of abuse from the Rossoneri faithful, who were particularly upset about the way he kissed the badge after scoring on his debut for against Liverpool. Asked his opinion on the incident, former teammate Gennaro Gattuso simply remarked: “It’s best if I don’t say what I think.” The lack of form he showed hardly helped repair the image, with fans bemused at why a player clearly past his best had been bought back. Yet regardless of the sad decline of Shevchenko in his waning years, it goes without saying that at his peak he was one of Europe’s deadliest strikers. Pair him together with Pippo Inzaghi and you got yourself a striking duo that rightly ranks as one of modern calcio’s greatest.